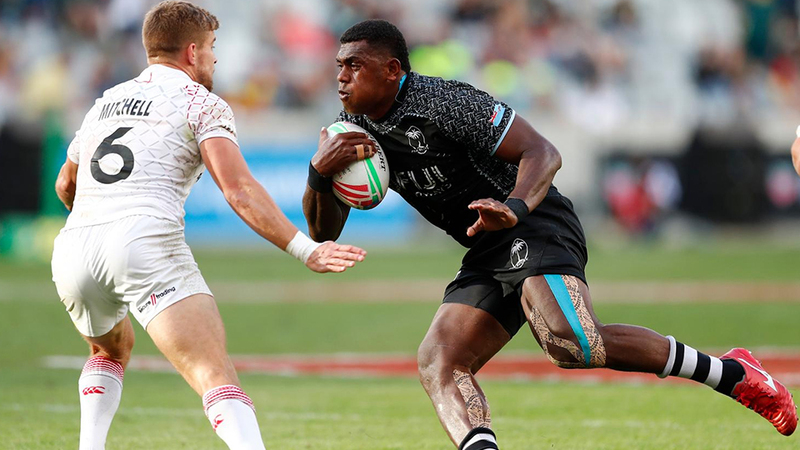 The Fiji Airways men’s 7s team maintained its unbeaten run after winning all its three pool matches in Cape Town. The side claimed a 21-19 narrow win over England this morning. Meli Derenalagi and Aminiasi Tuimaba scored a try each where they took the lead 14-7 at the breather. Vilimoni Botitu was awarded a yellow card for a considered knock on which allows the Englishmen to score their opening try. Former captain Jerry Tuwai then sealed the win with a try in the first 18 minute of the second spell. Two tries from England in the second half was not enough as Fiji kept their composure to claim the win. Fiji 7s captain Kalione Nasoko says it was a hard fought victory. Looking at other matches, , Canada defeated Wales 28-7, Australia beat Scotland 26-14, France won 19-12 against Kenya. The Cup quarter-final begins at 11.04pm today, semi-final will be held at 3.56am tomorrow and the final is scheduled for 6.44am.